Maisto Dino Ferrari 1:43 - Modified "The Rainbow Effect"
Scania R124/400 - Modified "Speights"
Following on from my article asking about the heritage of two models I had purchased I now know both models are Brentware models. 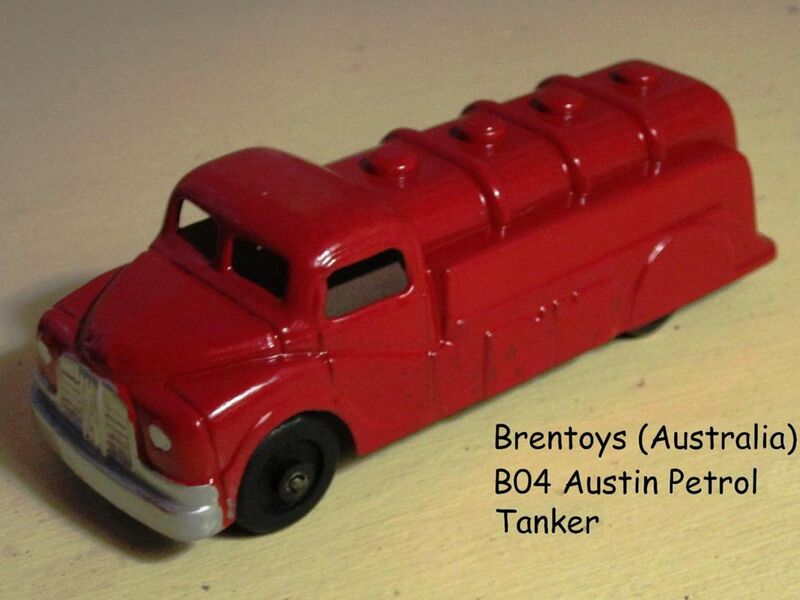 As a result of that earlier article and a later article I was contacted by John Sulman of Australia who offered the use of his photos of the Brentware/Brentoy models. So I will reiterate the key points so far and add John's photos below Ron Ford's list (with links to larger photos). 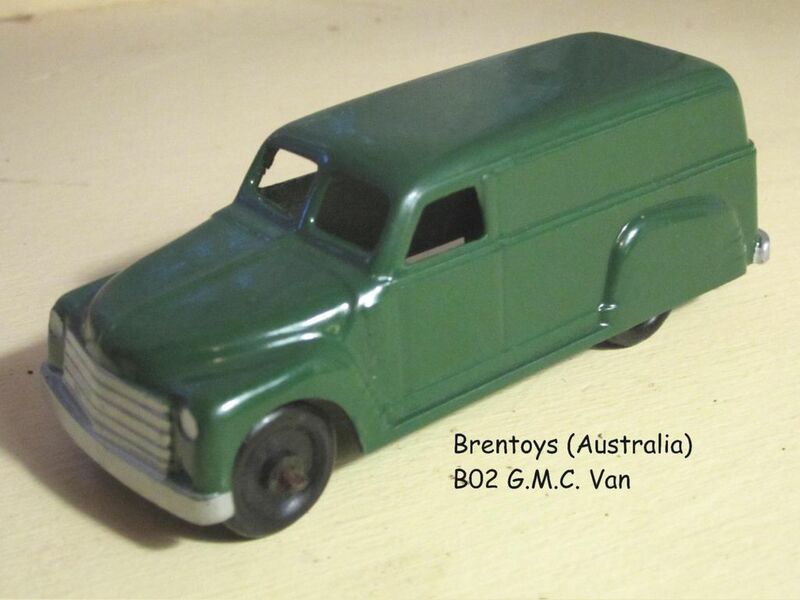 The name "Brentware" is collectively applied to models produced in both New Zealand and Australia by New Zealand collectors. 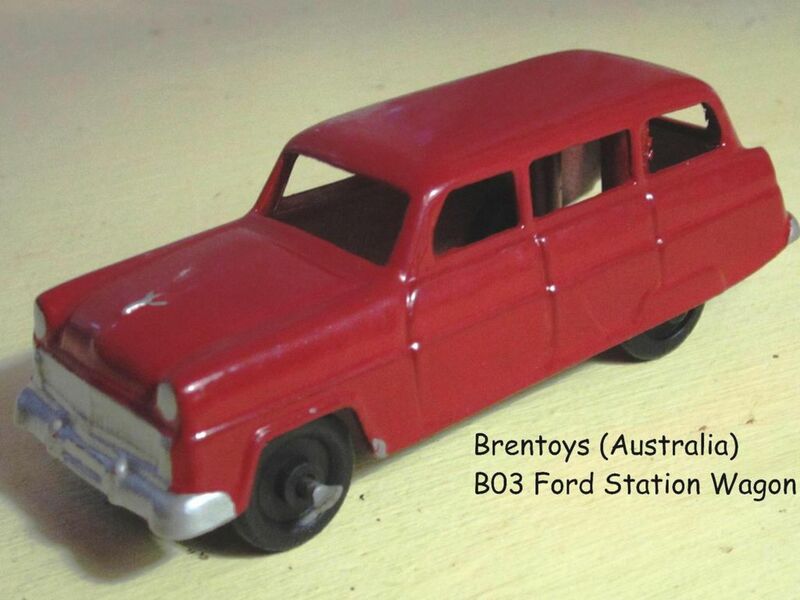 They are also known to our Australian cousins as "Brentoys". 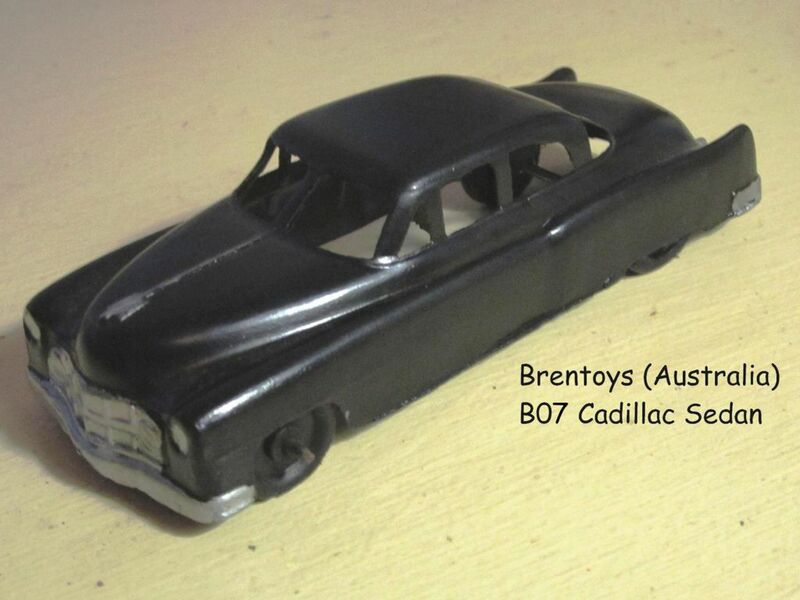 These models were made about the same time as Micro Models and like the Micro models, were hollow die castings, although the Brentware castings are of a simpler, more "generic" style, fitted with black plastic wheels on steel axles. 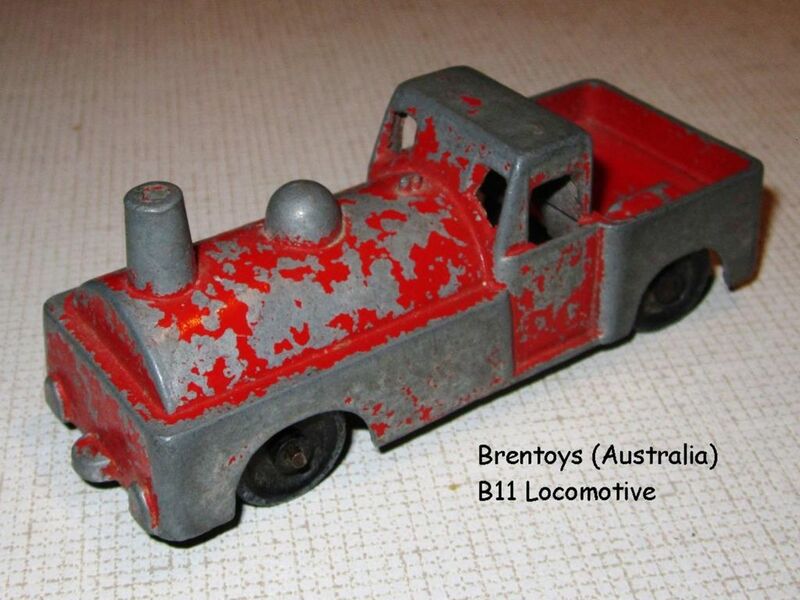 John Brent and Company was an Australian company that appears to have had a marketing rather than a manufacturing focus, John Brent being the owner with Alex Tolmer being the Sales Director. 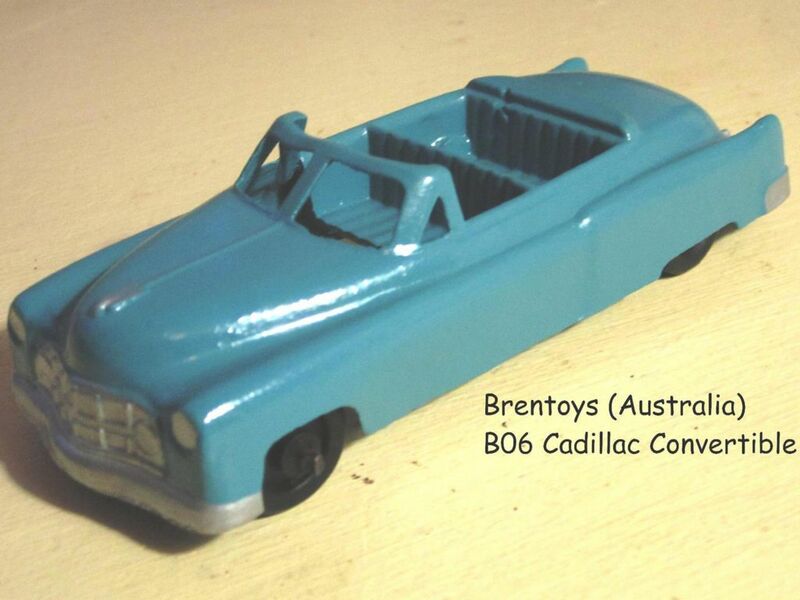 Both these names crop up regularly in the "history" of model and toy production in Australasia (Australia, New Zealand and their respective Protectorates - for those not aware of the term Australasia). 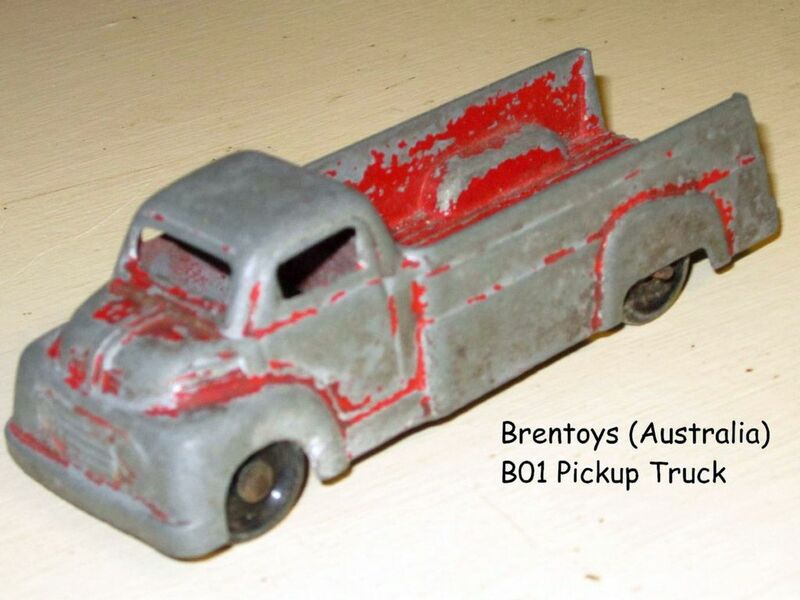 Brent and Co. marketed a range of house-ware and hardware items plus toys, both plastic and metal, such as novelty items, beach buckets and spades, diecast vehicles (manufactured by Goodwood (Australia) Productions Pty Ltd), aeroplanes and guns (the latter made by Thomas Hore Pty Ltd). 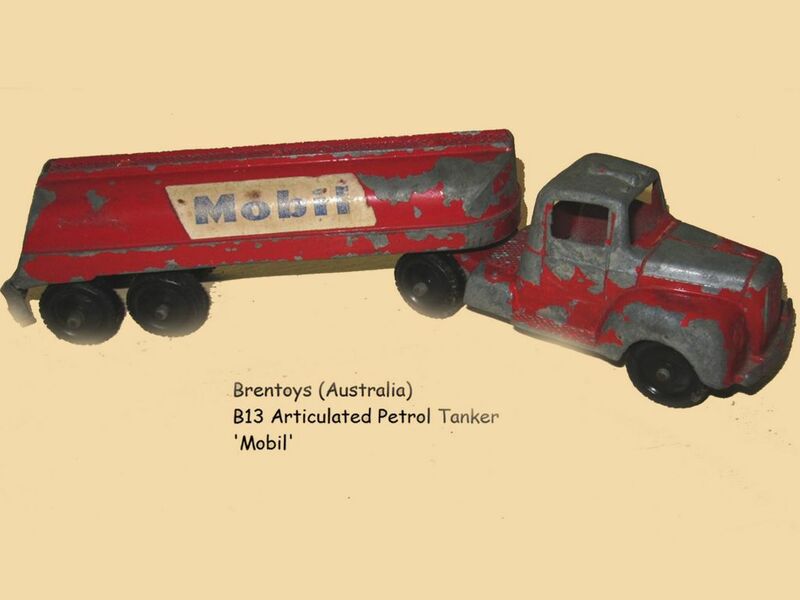 These items were often advertised as "Brentoys" although the original Australian Micro Models were "Made expressly for John Brent and Co by Goodwood (Aust) Productions" according to the box text. By the mid 1950s Tolmer had left John Brent and Co. to form his own marketing company, Alex Tolmer and Associates Pty Ltd. 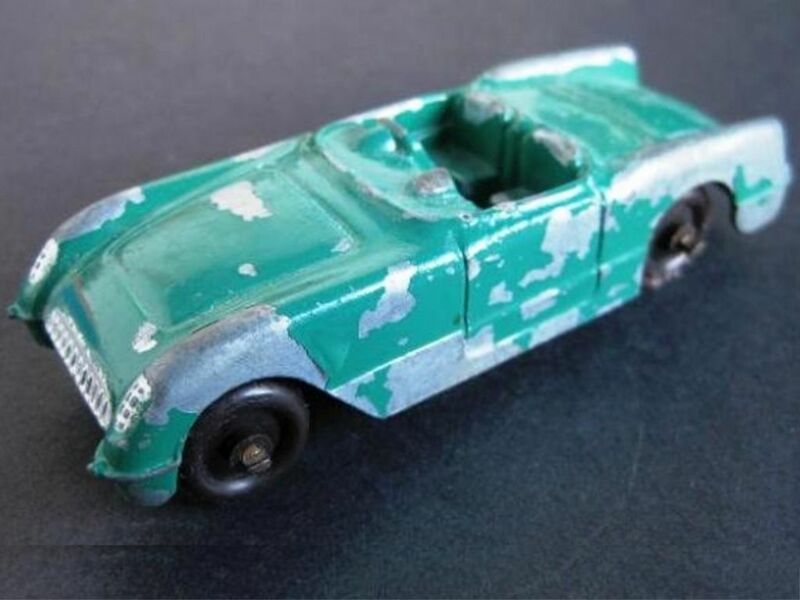 He continued to market a range of toy items including the Goodwood Micro Models and Tuckerbox Models (the dies for which later became the "infamous" Lincoln Matchbox Series which were later renamed Lincoln Motorway Mini Series, reputedly after threats of legal action by Lesney of England). John Brent and Co continued in operation after Tolmer's departure. 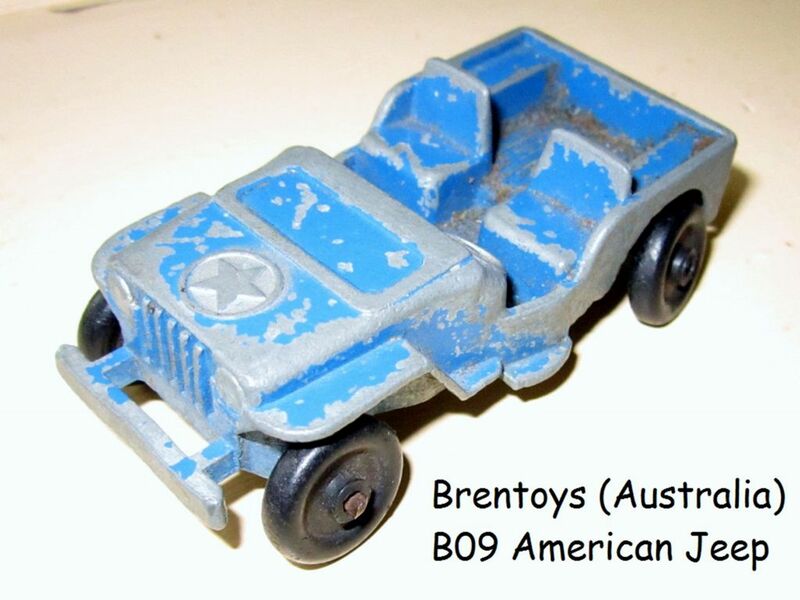 At some point, probably in the late 1950s or early 1960s, Lincoln Laidlaw (of Lincoln Toys, NZ), in his search for suitable dies to use for the production of toys in New Zealand, met John Brent who had a range of dies he was willing to lease out. According to one source (Jim Reed, 1993) John Brent wanted to ensure the dies would be well looked after so Lincoln Laidlaw introduced him to Eric Cook (of E A Cook Ltd) who was well regarded in the field of die casting. Following a visit by John Brent, E A Cook Ltd were allowed to hire the dies and went on to manufacture models and toys which were then supplied to Lincoln Toys who packaged the toys and marketed them under their own brand name. 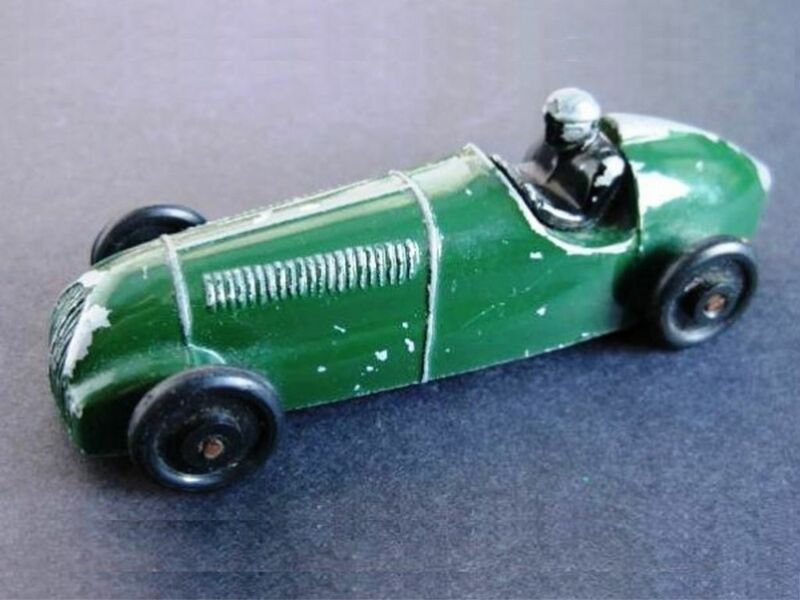 These models are not to be confused with the Micro Models produced by Lincoln Toys (NZ) from dies supplied by Alex Tolmer who had secured the marketing rights to the Goodwood toys. The arrangement with John Brent eventually saw E A Cook Ltd join forces with the Australian company to form a company called Brentware New Zealand, with the Australian company owning 25% of Brentware New Zealand. The new company then purchased some dies from the Australian company and they are known to have manufactured a "panel" van, "Beer" truck and jeep from these dies. They are also accredited with the manufacture of a stationwagon. E A Cook Ltd eventually purchased the stock held by Brentware Australia and liquidated the Brentware New Zealand entity. 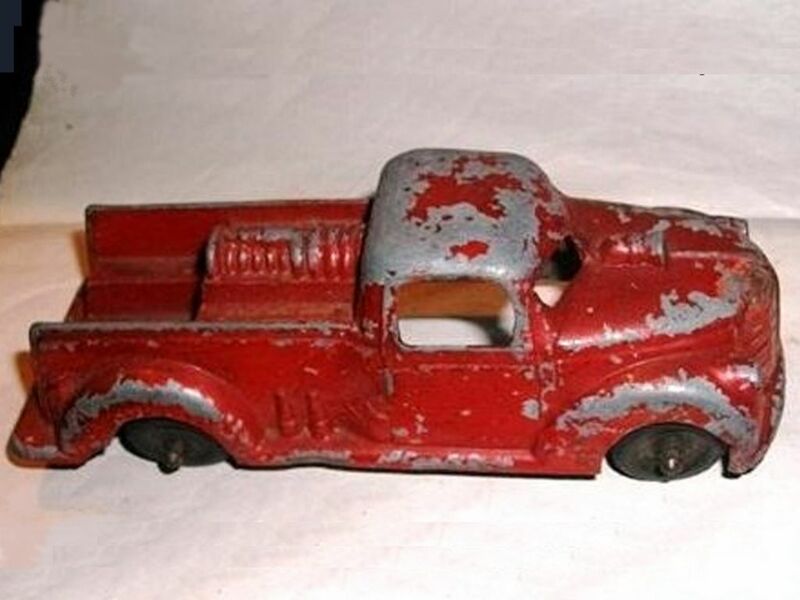 The original Brentware dies owned by the Australian company were lost when that company was taken over by A J Chown Ltd.
Len Smithers of Auckland is said to have found some unfinished castings in an Auckland industrial area and these were of a fire engine in the same style as the rest of the range. To complicate things, Ron also reports he has in his possession a Chevrolet Corvette fitted with Fun Ho! wheels - he assumes the wheels were bought in when Brentware ran out of their own type. 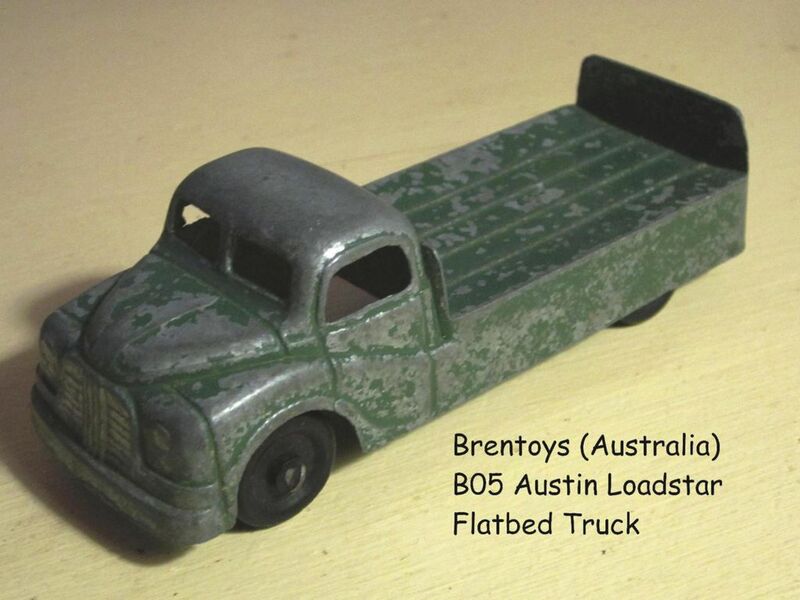 Following on from John's contact I now provide the following list of vehicles produced (in Australia at least). Our thanks go to John Sulman for permission to use his photos (found at Flickr). Please NOTE: These photos are copyright to John Sulman and HIS permission should be sought before reproducing them in any form.